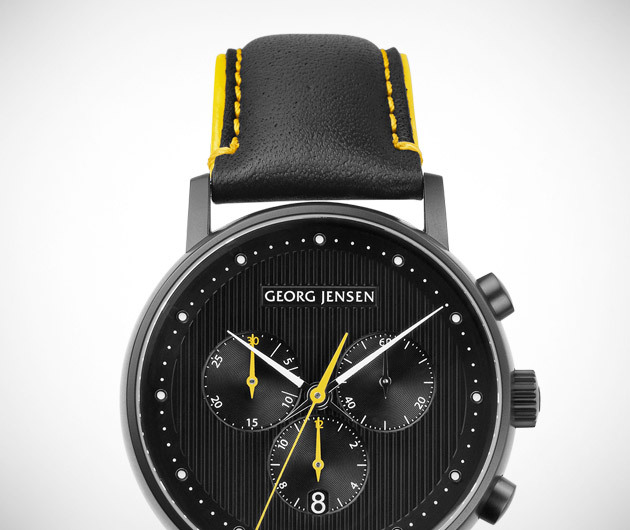 Sportiness and elegance is what you will see in the limited edition Georg Jensen Koppel 517 Black Edition. The watch is designed to match any wearer's personality and style while still maintaining the comfort that is known with Koppel watches. It features a black face and black calf skin bands with bright yellow stitching. With only 50 produced, they will go fast.